Since the nation elected their newfound PM, as the majority voted for Imran Khan, he’s now ruling not just the nation but many people’s heart! PTI has been meaning to win elections for so many years, now that they finally have won the election they and the supporters can’t help but get ecstatic at the sight of Imran Khan winning. Pakistan probably won two best things through Imran Khan, one was the world cup and the second was when he became the PM! His services to the nation are precious, and his work and dedication towards the people of Pakistan are viable years before he wanted to come into politics. He built Shaukat Khanum Memorial Hospital and worked hard for it to raise funds for it! He gathered many influential people like Lady Diana and more to donate for it. It didn’t stop there, he built Namal University and is now planning to turn it into Oxford City like. A place with many departments to study and vast campus and experience for the students. While there was a survey conducted in which people were asked if they were satisfied with Imran Khan work till now and the majority of the votes stated yes! But PTI is still challenged by those who see the efforts of PML-N, like how they build a motorway and all the things to maintain the infrastructure. They introduced metro busses in the capital city and what not, as to no such thing has been done after Mr. Khan’s ruling. The PTI vs PML-N arguments are never-ending, be it on talk shows or what! They are always ready to eat each other away on talk shows and on Twitter. 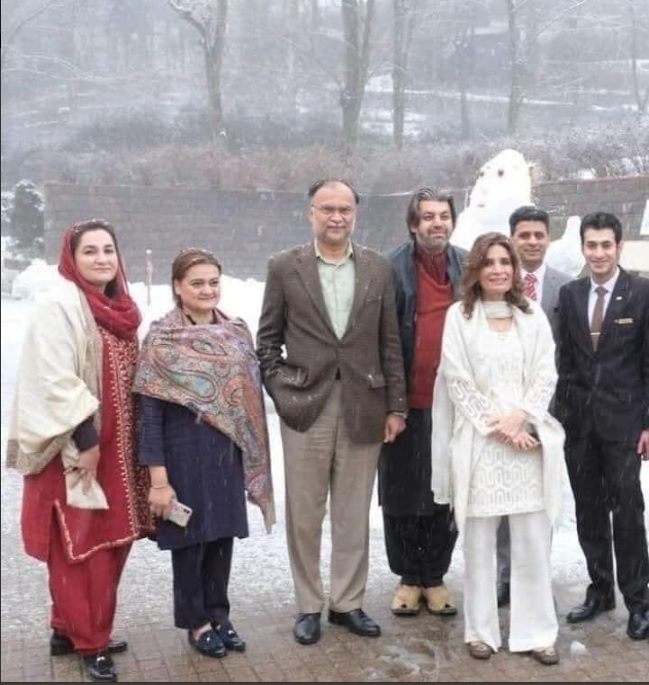 Seeing Ahsan Iqbal and Maryam Aurengzeb together enjoying the snow! This is a sight to see, would these guys have been sitting in some talk show nobody would expect them to stand this calmly next to each other. 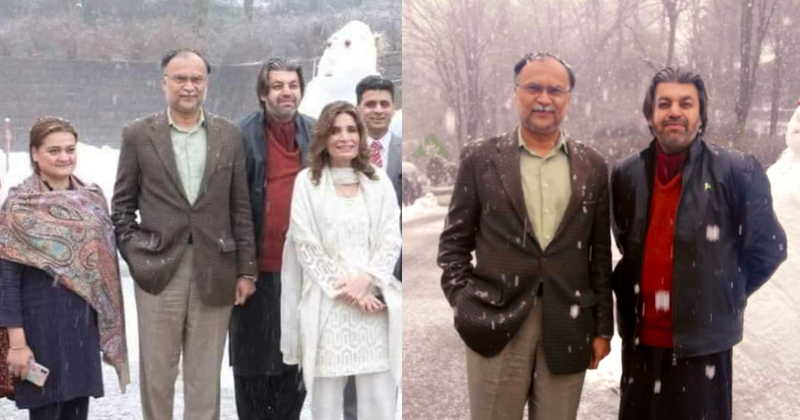 Ahsan Iqbal seems quite happy, well when PML-N is around why wouldn’t he be?! No? Heheh. JK! Lolz, K Bye! Government and the opposition are enjoying the snow, what is stopping everyone else? Mojein manao! Let’s just stop giving damn about who did well than the other, when PTI and PML-N are raazi toh kia karyga… ahem! Never mind. What do you guys think of these photos? Let us know in the comments below! Tag your PTI, PLM-N fan friends and show them the “reality”! A 6-Year-Old’s Life Was Allegedly Taken By A Taxi Driver In Madina Sharif, In Front Of His Mother And It Is Inhumane!